Oh, swoon swoon swoon. 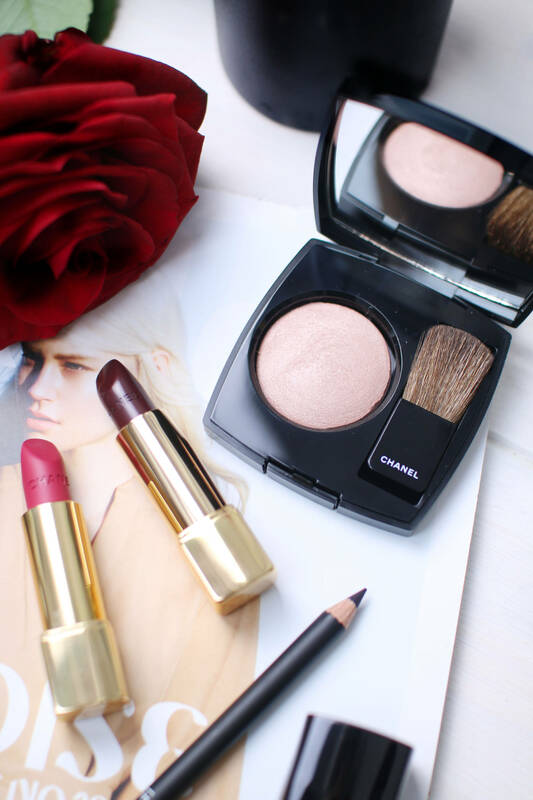 It hasn’t been long since I wrote about the Chanel Autumnal Collection, but I had to show you this bundle of beauties before Christmas came to a close. What shall you wear on your eyes for Christmas Day, you ask? Well, I know what I’m going to be wearing. In shades of champagne pink, taupe, purple and the brightest sunshine gold, the Chanel Christmas palette, Signe Particulier, is beyond festive. The colours blend and work together like magic, so harmoniously in Christmas shades of dreams and of course I went for a purple smoked out crease with a golden eyelid and pink champagne inner corner highlight. Always work with the light colours to the inside of the eyes, smoking out to the darker colours to the wing. But it is not only about this palette this year, as Chanel have released a full collection of breathtaking products. From the cream eyeshadows to the special Rouge Noir and gold glitter nail varnishes, as well as a stunning purple lip. Here is a quick run down of what you might be asking Santa for this year! I have just spent so long trying to find links for the collection online, and in honesty you are going to have most luck trying in store. I know that I have seen the majority of these items on the Chanel counters in Selfridges and Debenhams, so have a peek. But online, your best bet will probably be the American retailers. The collection has flown out of stores because of how perfectly the shades and products work as a festive ensemble. 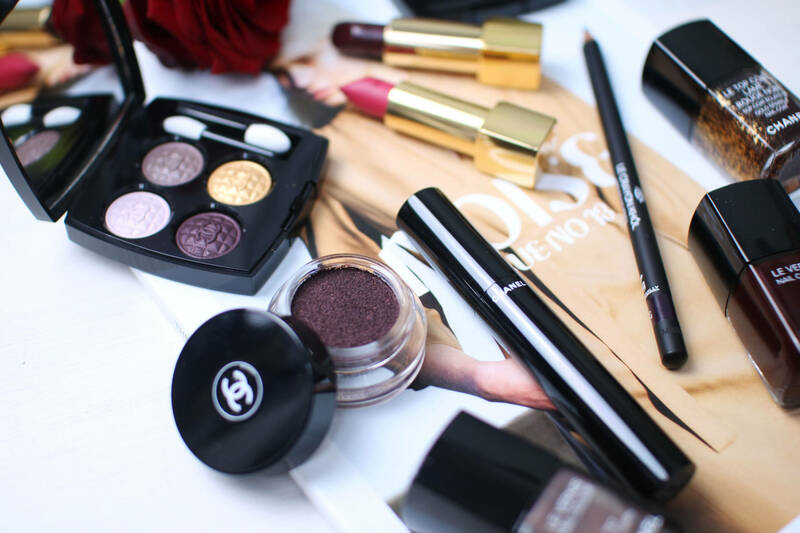 The Chanel Eyeshadow Palette is beyond beautiful, and mixed with the Rouge Noir, purple toned eye kohl to smoke out and line the lash line, they are a perfect match. On top of this, the Rouge Noir Mascara in number 27, finishes off the lashes in a coat of deep purple and creates a wonderfully rich collection of festive tones. For further purple hues, the Rouge Noir lipstick, which I have worn in the images with a coat of the Eblouissante pink to the centre, is rich and as easy to apply as you would expect, rounding off the entire Chanel Christmas collection. Purple eyes and purple lips, with purple nails to finish with the Rouge Noir polish. Yet, for further Christmas sparkle, the Golden Sparkle top coat polish is a stunning glitter gel, that provides a luxury finish to your Rouge Noir nails. The entire collection is stunning aesthetically as well as in usage. Quality products with those extra special touches that only Chanel can offer. If you can find these in stores still, then you are one of the lucky ones. This has to be my favourite Chanel collection yet! Hands up if you love this collection as much as I do?! I think this is easily my favourite collection of products for the entire year!